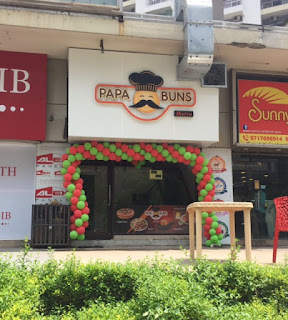 The NCR region is now a hot favorite with brands who are looking for upcoming neighborhoods and markets .I was recently invited to review the newly launched Papa Buns outlet at Indirapuram. I interacted with the owner Mr. Amit Mathur, a man who has had a lot of experience in the food industry in Dubai and who has now ventured into food business in India .Papa Buns is an Indian chain of coffee shops.Their signature dish is the hot bun and Bunny Chow ,both mini meals in themselves with an array of fillings to cater to different palates . 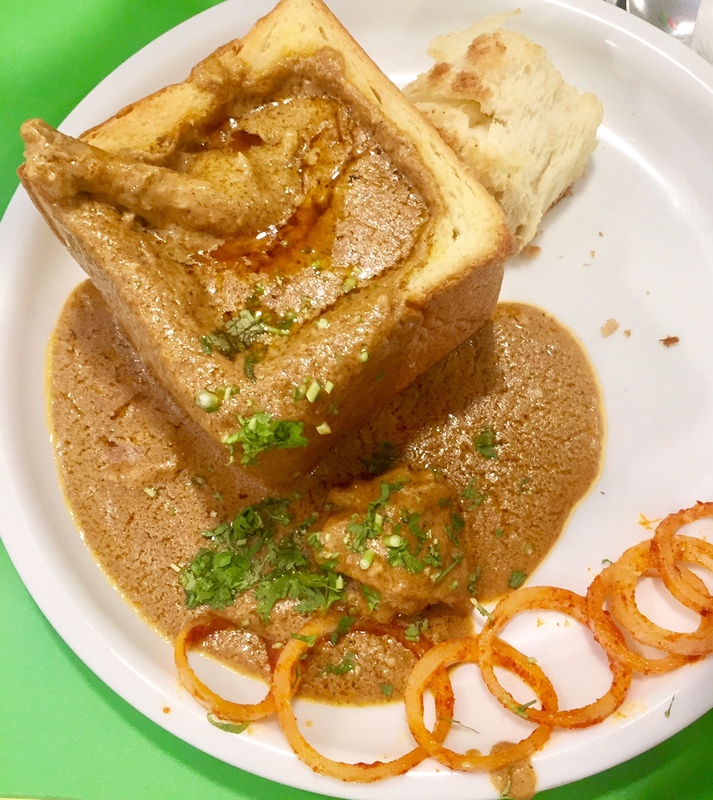 The Bunny Chow originated from Indian community in Durban, South Africa and this dish is basically a loaf of bread which is scooped out in the center and filled with hot curry of one’s liking and served .Then one can tuck in by the breaking the bread and dipping it into the spicy gravy. Ambience – Since the outlet was opened to public just the previous day, it was all decked up with colourful ribbons and balloons. 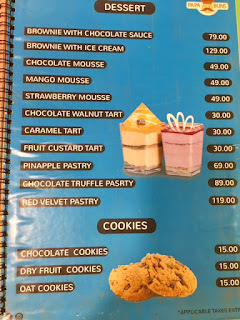 Going with the expected young clientele; it had light, fun coloured furniture and a warm airy atmosphere .They have air conditioning and most importantly generator back up since U.P. 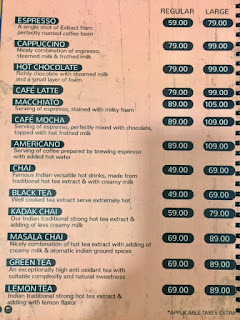 is infamous for long power cuts. 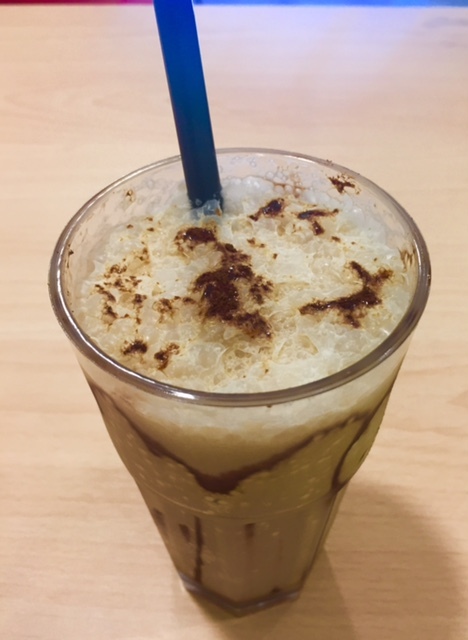 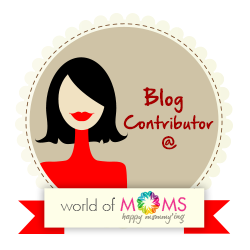 I started off with a cold coffee which was quite refreshing and energizing in the hot weather. 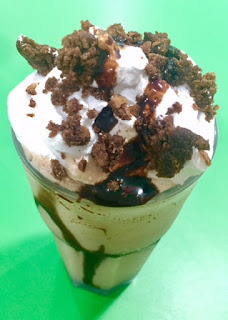 Since it was hot we chose to skip the teas and coffees and settled for Milkshakes and coffees. 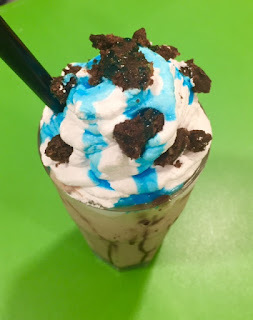 Blue Island Nutty Brownie –This shake is a combination of soft serve vanilla ice cream, blended with nutty brownie, chocolate sauce and topped with whipped cream .Quite creamy and good ! 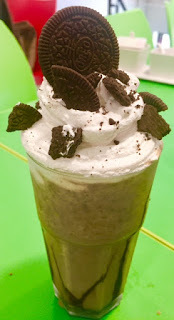 Oreo shakes –Now who doesn't love an Oreo and on top of that an Oreo shake !This again had soft serve vanilla blended with Oreo cookies, chocolate sauce and topped with whipped cream .Thick and delicious! 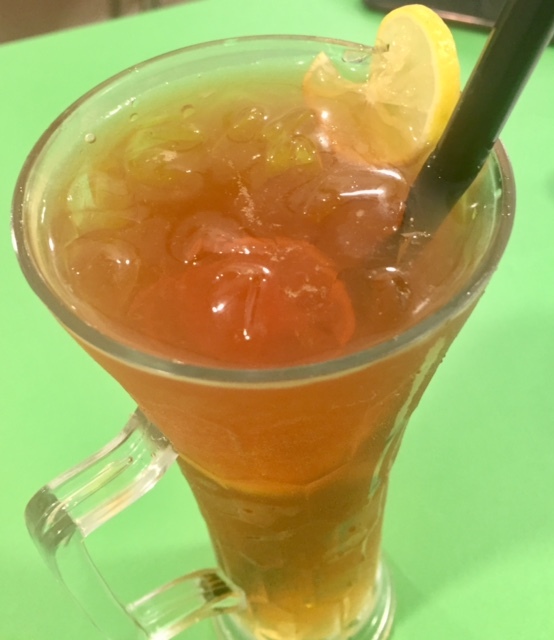 Passion Fruit Iced Tea – Refreshing but overtly sweet for my taste. 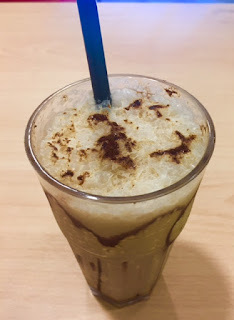 Hazelnut Cold Coffee – Cold coffee with hazelnut flavor, it was nice, though I would have preferred it a wee bit colder. Vegetarian Club Sandwich – The club sandwich was a disappointment in terms of taste, presentation and ingredients. Papa Special Non vegetarian Pizza – A loaded Pizza .It had a thick crust and had loads of chicken ,olives and cheese and was finished in a jiffy . 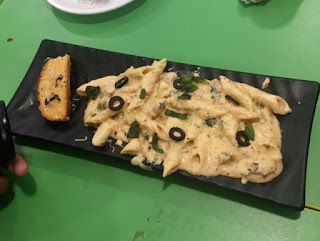 Pasta Alfredo – The pasta had a bite to it and had generous amounts of chicken in a white cheesy sauce. 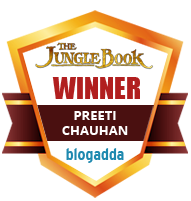 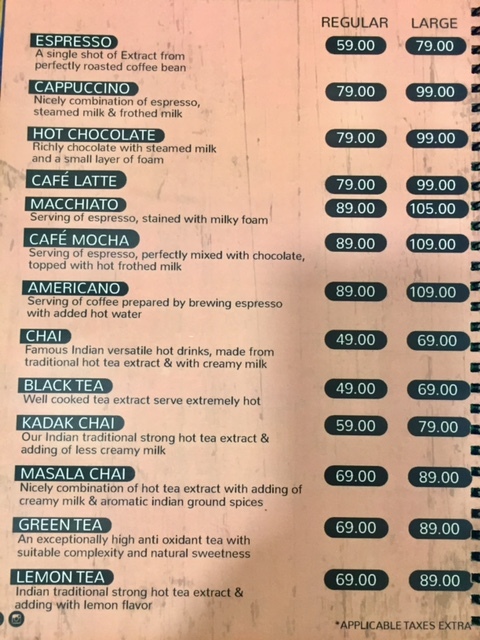 Quite good! 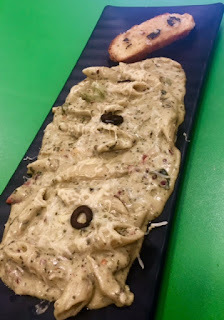 Green Basil Pesto Pasta - The pasta was al dente and warm with lot of mozzarella on top, it had hints of basil and had generous amounts of peppers and olives .I would have preferred a little less cheese but otherwise it was a winner. Chicken Korma Bunny Chow – This was a loaf of bread scooped out in the centre and filled to the brim with hot and spicy chicken korma and they make sure to give you a leg piece every time .The gravy was sizzling and spicy but mind you it is tough to finish this dish on your own because it is very generously portioned. 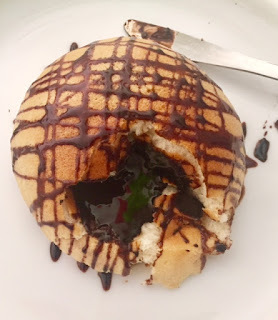 Chocolate Bun – For desserts, I ordered a Chocolate filled freshly baked bun .Hot Crisp rounded bun and when you cut it open, you get warm liquid heaven chocolate oozing out! This bun was a hit with the youngsters. FINAL VERDICT - There were a few hiccoughs ( read long power cuts ,non- functioning toilets...) but I think these are only teething troubles for the freshly opened outlet as Mr. Amit Mathur assured me that he is already looking into ways of taking care of these infrastructural problems. 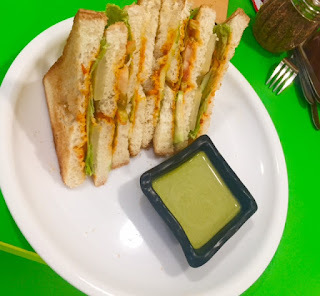 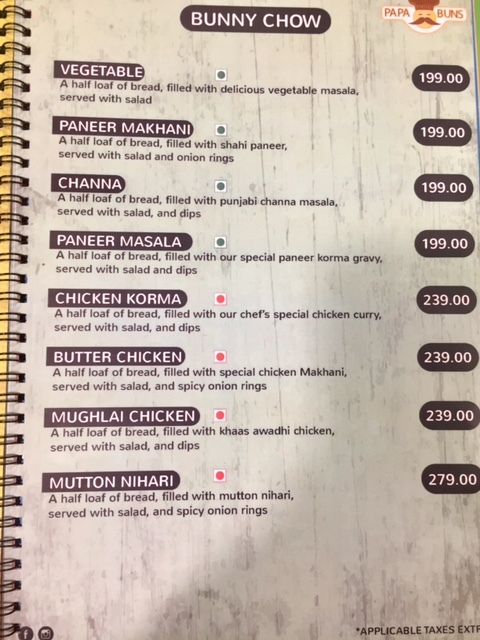 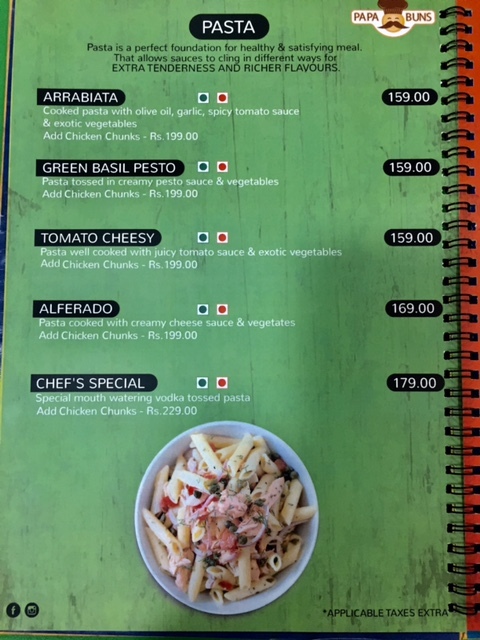 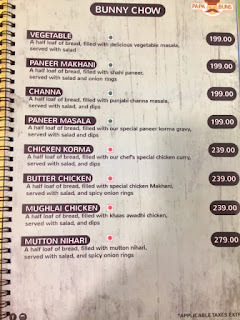 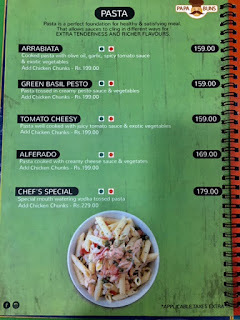 All in all this place offers great fare, which is a class apart from what is being offered in the area and fun ambience and at pocket friendly prices too . 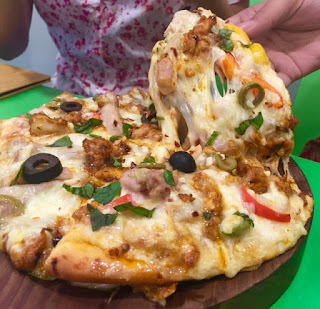 I really feel like digging into that pizza and gulping down all the cold beverages you have shown here! The pizza was quite good and so were the shakes ! 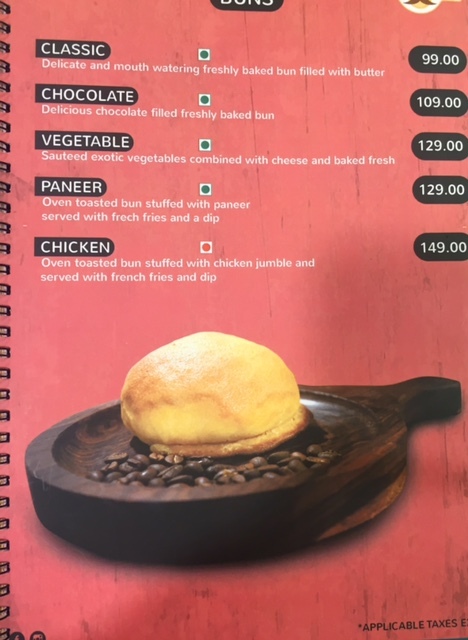 I must try this. 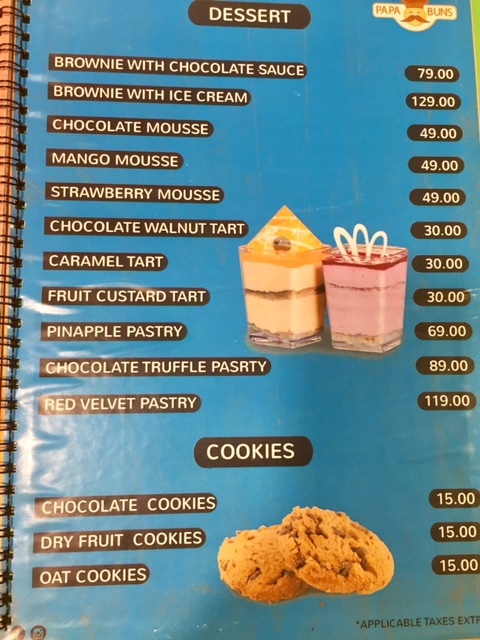 It is near my home.